So here’s something you may not know about me … I am a ballet lover! For as long as I can remember, ballet and dance have been a big, beautiful part of my life. I started dancing at the age of 5 and made a really tough decision to give it up in high school when I took on Physics as an extra subject and my art took up most of my free time. While I lived with my grandparents during my early childhood, they took me to watch every ballet they could. I was affectionately known then as “Suzanna Bromilova” – my Russian stage name, lol! I couldn’t wait to open my presents at Christmas, I just *knew* there’d be an awesome ballet calendar and a record of ballet music. My favourite record to listen to was The Nutcracker. Every New Year’s Eve, I’d get together with a bunch of girls and put on a special performance for the family. 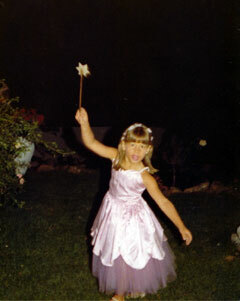 I owned REAL friggin’ tutus! After my grandfather died, my Gran and I continued to to go to the ballet together for another (nearly) 20 years, right up until she could no longer drive. When I got a bit older, I volunteered to help out with all the ticketing arrangements for the Friends of Cape Town City Ballet, the Balletomanes. During my teen years, my Dad married one of Cape Town City Ballet’s principle dancers, Juanita Yazbek. My Dad’s been doing the photography for Cape Town City Ballet for EVER! Cape Town City Ballet was my very first official client when I started my business over 10 years ago and they are still with me now. I am 100% loyal to them and support them in every way possible. Well, the sad fact is that after 75 years, Cape Town City Ballet will have to close down. UNLESS they receive a whole lot of funding. Fast. When I heard about the dire financial straights that CTCB is in, I came up with a Cunning Plan to help raise funds for them. Last week, I rounded up a few members of my fabulous team and together we set about creating an online campaign to solicit donations from the public. The campaign was launched today! Everyone who makes a donation stands to win a prize. Everyone who participates in the campaign through their website also stands to win a prize – a 16GB Apple iPad! So far, the response has been just brilliant. We’ve had nearly 20 site owners register to participate and donations are rolling in already. To everyone who’s taken the time and effort to join in, THANK YOU! To everyone who’s digging into their pockets to donate, THANK YOU! If you want to take part in our campaign, it’s really easy to do – just visit www.savecapetowncityballet.co.za for all the info you need to get going. I really hope they do not have to close down. Since I am a student, all I could donate was R100, but hopefully that will get the ball rolling and I challenge all of you to see how many times you can exceed my donation by! Is there anyway that we can get updates on how much has been donated? I’m going to stay in touch with Prof Triechaardt as much as possible to find out how the donations are going. She’s a really busy lady though, so I’m not sure how regularly I’ll get updates but when I hear ANY news, I’ll let you guys know, promise. Hopefully they can raise the money they need! Thanks for the mention. It would be so so so sad to see such an art just disappear. Let’s save ballet people! Great pic . Are you still part of Balletomanes. Been thinking about it for a while. Mmm. Might be the thing to do. You were too beautiful Suzanna Bromilova. Wishing you best luck to collect your fund to save the Ballet.